Wouldn't it be nice if your dog didn't jump up? Beg at the table? Charge out the door when you open it? Good training is essential to provide for the safety and happiness of your dog. Proper training strengthens the bond between you and your dog. Every dog is different, some are laid back, some are hyperactive, and some are shy and need more self-confidence, and no one training technique will work on every dog. The “Personal Trainer” program is structured training using a combination of gentle, effective, humane, firm, and safe methods. It is never too late to have your dog trained! It may take longer to train your adult dog because of the time needed to spend re-training the undesirable behaviors. *Ask about our K-9 Club Membership - $170 per year entitles you to half-price classes and more! Learning the basics: sit, down, come when called, walk on leash without pulling, and stay are essential to provide for the safety and happiness of your dog. A trained dog is a happy dog!! Your dog needs to know the rules in order to become a valued member of your family and neighborhood. It's important for your dog to learn some manners too! Wouldn't it be nice if your dog didn't jump up? Beg at the table? Charge out the door when you open it? Having your dog trained helps strengthen the bond between you and your dog and increases the enjoyment, companionship, and relationship with your dog. A trained dog makes for a happy owner!! Every dog is different. Some are laid back, some hyperactive, others are shy and need more self-confidence, and then there are those who have too much confidence. No one training technique will work on every dog. Ever wonder why your puppy bites? Is your puppy playing too rough? How do I teach my puppy to tell me when it's time to go outside? This is a fun & relaxed class where everything is puppy! Playing, learning, teaching. Your dreams can come true! Imagine owning the best behaved dog in the neighborhood. Walking down the sidewalk with your dog right at your side. Stopping to visit neighbors and your dog sits patiently, not jumping or pulling at the leash. We can teach you! Your dog can learn! What do you do when your dog doesn't care about you anymore? When the whole world is more interesting than you?! It happens to the best of us!! This is a fast paced class for the serious owner - who wants their dog to be the best dog ever! Instructor will hold you accountable each & every week! So, your dog is great at home and on your short walks in the neighborhood.... except when you pass by that one particular house or that darned rabbit darts out of the bushes. But if your dog knows the basics of sit, down, walking on leash, come when called (at least sometimes) then it's time to step-it-up a notch and discover new ways to challenge your dog and build on those skills. Take your dog's skills to the next level - whether it be off leash, cues from a distance, therapy dog work, etc. Having a dog that responds to you and knows how to behave around distractions... it truly can be like having your best friend right beside you!! Whether you are a fierce competitor or just want that green ribbon, you will learn ring procedure, how to enter a dog show, what to do when you get to the show, and of course all the exercises your dog will need to know. *And more!! Including Rally exercises. Rally is a fantastic way to watch your dog's loose-leash, obedience and attention skills skyrocket while having a lot of fun! Rally is a course set-up with signs to follow. It's fun for the "pet" dog & good ring experience for those who want to show their dogs.... this class also teaches good manners as you have fun working as a team, loose-leash walking with your dog on your left side, through a course of specific skills: sits, downs, stands, stays and turns. You will also learn how to use your body language to communicate to your dog! Everyone should take a Rally class - cuz it's fun!! Train for competition, fun, and/or good manners! The Canine Good Citizen, Community Good Citizen & Urban Good Citizen designations are a "badge of honor" for you and your dog. It means you have taught your dog to be mannerly. It means you know your dog's limitations. It means your dog responds to you. Most importantly it means you and your dog are a team!! 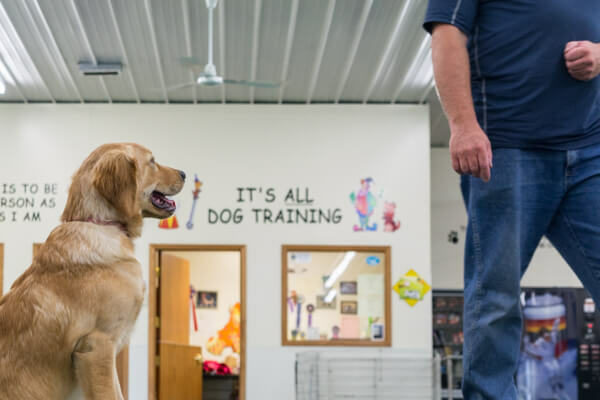 This class will practice all the essentials for the CGC test, and at the end of the class you and your dog will actually be tested by one of our CGC Evaluators. Community Canine Good Citizen & Urban Canine Good Citizen are additional training and testing! Just ask your instructor about those classes. Dian will work individually with you to solve specific behavior issues. A continuation of Beginner Class. More complex courses and handling skills. A continuation of Intermediate and preparation to enter Agility trials. We have both indoor & FENCED outdoor areas. Most dogs "see" with their nose, so why not have some fun and let your dog show YOU how they "SEE" the world?! Tracking can be compared to Search & Rescue, while Scent Work can be compared to drug/bomb dog work. Teaching your dog to follow a human scent & find a personal article of clothing, like a glove, sock, bandanna, etc. And if you find this fun, there is advanced tracking & tracking tests. Ask the instructor what all is involved. We won't have class if it is too cold or too hot! Beginner & Advanced work in the same class at different skill levels. MY GOSH - Dogs LOVE this class!! Almost any dog can participate and succeed, including elderly, shy/fearful, reactive, hyper, pet, competition - ANY dog! The mental stimulation for your dog is challenging and exhausting at the same time. Like most classes, you can practice for fun or competition. Food will be the primary "search" item in this beginner dogs. Advanced dogs continue the fun of learning to "read" your dog and working as a team to find the scent in various situations, AND expand to essential oil searches, instead of using food. Advance your dog's skills by adding even more search scenarios. various locations, situations, and multiple scents. Excitable/Aggressive dogs - If your dog is excitable or seems aggressive towards other dogs or people, this class will teach you how to change your dogs behavior, as well as teach you how to relax when in stressful situations. Fearful/Shy dogs - Do you have a dog that hides behind your legs? Runs and hides or barks-runs-hides when company comes over? This class will teach you how to build your dogs confidence so they don't have to live in fear. Members of the Cornhusker Kennel Club teach this class! and you can pay the instructor. For training your dog to be a SHOW dog! Like at Westminster!! but it's more than just the dog getting experience. You will be instructed and coached on how to make you & your dog look best, so when you are at Westminster you'll look GREAT on TV !! What if your dog came to you EVERY TIME you called? Whether in a dangerous situation or calling them back inside from the back yard, a CALL-ONCE recall is a valuable skill that every dog owner will benefit from. In this workshop you will learn how to successfully get your dog back to you every time! Will your dog learn it and be reliable in 2 hours? No! but we will send you home with a better response from your dog than you came with and the methods to practice at home. Super FUN and you can get an AKC title on your dog! Our Agility field is completely fenced. You can also rent the Agility field or gym for your own personal training time for only $7.00 per hour/ per person. Train alone or bring a group of friends to train, or just exercise your dogs! We also rent our gym for doggie birthday/pool parties and various club meetings – call for pricing information.